chapter 8 : Places that became known as “sacred” | Light and Shadow: Christian History, Resurrected. Hidden Christian Sites in the Nagasaki Region. After the battle of Shimabara, the bakufu (shogunate) succeeded in complete suppression, leaving the southern part of the Shimabara Peninsula eradicated. Immigrants were gathered from all the lands, and no longer would the Christian faith be allowed to grow. In spite of this, the Christians of Gotoh, Nagasaki and Amakusa continued on without the help of missionaries and went on to create their own individual form of Christianity. 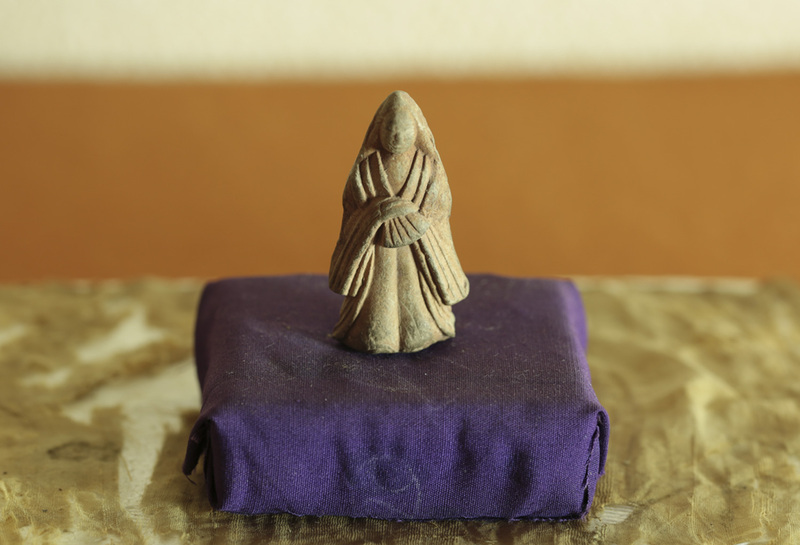 To be able to exist in this era, they were forced to wear the facade of Buddhism. The manner in which they practiced their faith was unique from area to area. Chapter 8 will focus on the area of Hirado. Hirado is the area in which Francis Xavier propagated Christianity. Because the feudal lords at the time, the Matsuura clan, had become believers, much of the population had converted to Christianity. Disagreements between Christian missionaries and Buddhists, an incident in which a fatality occurred in an argument between Portuguese sailers and Hirado merchants, as well as an edict expelling missionaries by Toyotomo Hideyoshi, all contributed to the friction created. Nevertheless, the roots of Christianity continued to grow stronger. In 1599, the Christians of Hirado experienced a decisive blow to their existence. Approximately 600 members of the Koteda clan were exiled to Nagasaki due to their patronage of the Matsuura clan of Hirado and it’s Christian beliefs. After this, the believers of Hirado lost their support and an era of suffering began. Due to the strict crackdown, many of the Christians of Hirado were martyred. 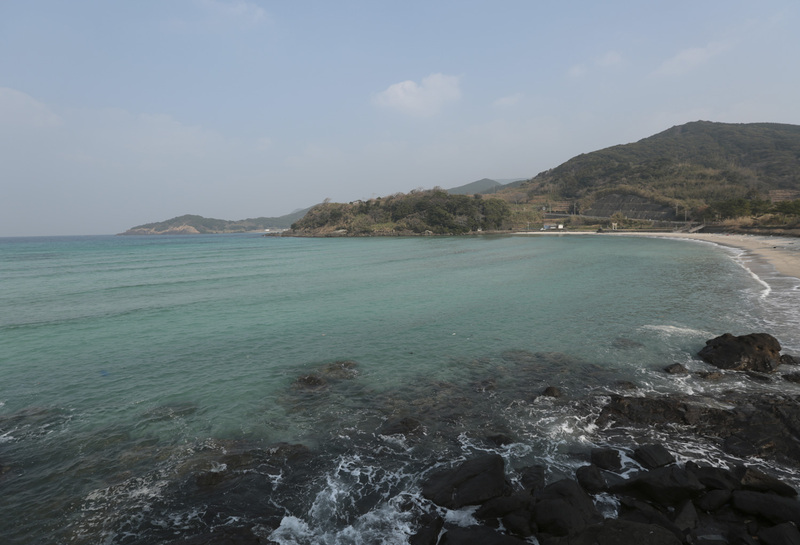 On Neshiko Hama, one of the beautiful beaches of Hirado Island, there stands an “Ascension Stone” as a memorial to these events. Many Christians were martyred while standing on this stone, believing that they ascended to heaven. Therefore, this place is now considered sacred. In Hirado, there are many locations that are considered sacred due to the martyrdom of Christians. To the believers of Ikitsuki Island, the place deemed most sacred is a non-inhabited island to the east called Nakaeno Island. In 1613, even though an edict was made by Yoshinaga that banned missionaries and deported them, many missionaries snuck in to continue their proselytizing. Father Camilo Constancio was one such missionary. He arrived in 1622 and secretly worked on the Hirado and Ikitsuki Islands. Not long after beginning his work, Father Constancio was captured and burnt alive. Those who had helped him were also soon caught. It was decided that these Christians were to be executed on Nakaeno Island. It is said that the prisoners sang hymns as they rowed to the execution site. In Christianity, it is taught that all martyrs go to heaven. In order to insure that they go to heaven, 3 young brothers were put in a sack, tied and thrown into the sea to be drowned. There are many stories like this that have been handed down through the years. It is said that the last martyr occurred in Hirado in 1645. It became more and more difficult to practice Christianity due to a strict anti-Christian census and a regular inspection that called for people to trample a tablet bearing Christian images. Therefore many believers were forced to act as Buddhists while secretly practicing Christianity. The underground nature of the faith varied somewhat from area to area. The Hirado Christians became known for their “back-room God” faith. 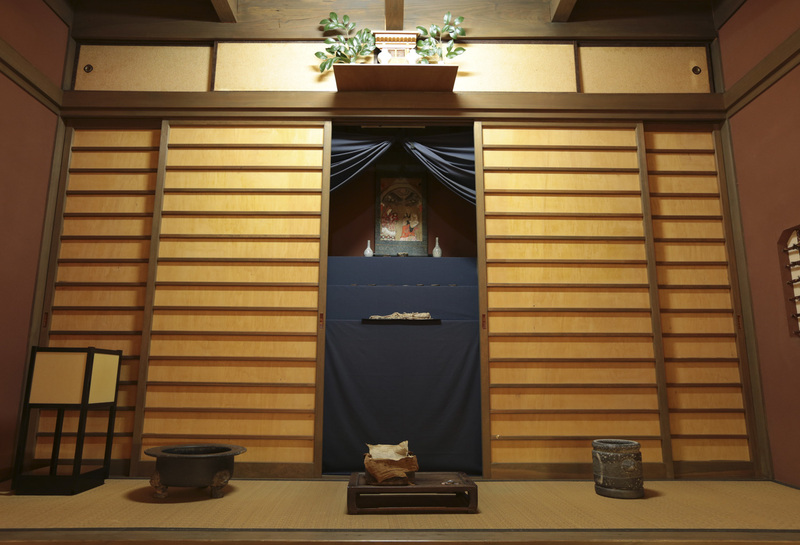 In the front rooms of their home, they would display a Buddhist alter in the usual way, but in the back room (usually used for storage) they would secretly display items of their Christian faith. In this way, they would continue to practice their Christianity. In other ways, some would display a disguised image of God in a hanging scroll or an image of Mother Mary and the Saints drawn in a Japanese style of the era. These items represent the faith of the believers in the era of concealment. To carry on the succession of Christianity without missionaries was like sailing without a compass. The hymns and prayers that they had passionately learned in church prior to the prohibition, became known as “orasho” and were considered spells or incantations. These “orasho” songs varied depending on the local area. It is said that there are even some songs that are performed without making a sound. Without any priestly leadership, the faithful were dependent on oral tradition and memorization, often which does not include doctrine. Due to this, it is thought that the original doctrine adapts and becomes something new over time. In spite of these great obstacles, Christianity was handed down from parent to child, generation to generation. In 1873, the ban on Christianity was repealed. 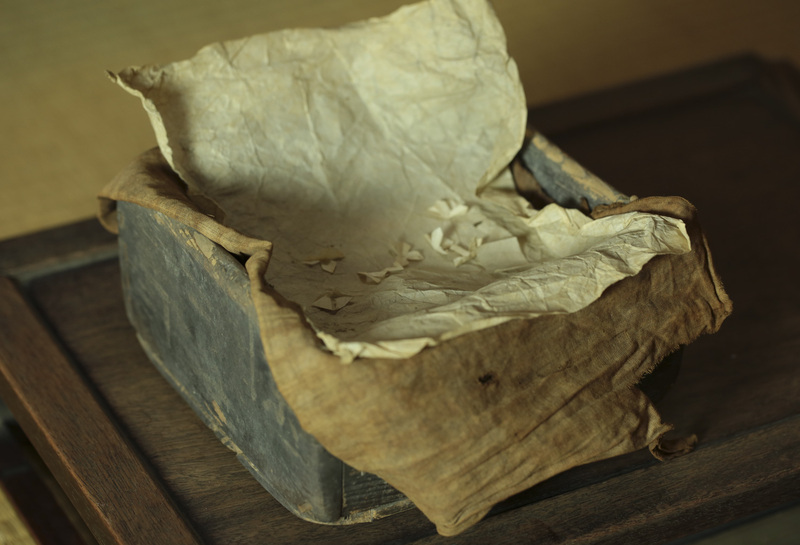 For close to 250 years, the faith had been secretly kept alive. During the Meiji Era, after the ban on Christianity was repealed, the underground Christians split into two groups. One group joined the Catholic Church and another continued on as underground “Kirishitan” (Christians). There are many reasons why the Kirishitans continued with their faith in a hidden manner. Some believed that it was more important to practice their faith as had been taught to them through the generations. Others believed that it would be bad luck to change their ways of faith. With so much history involved, it can be quite difficult to find a straightforward reason. 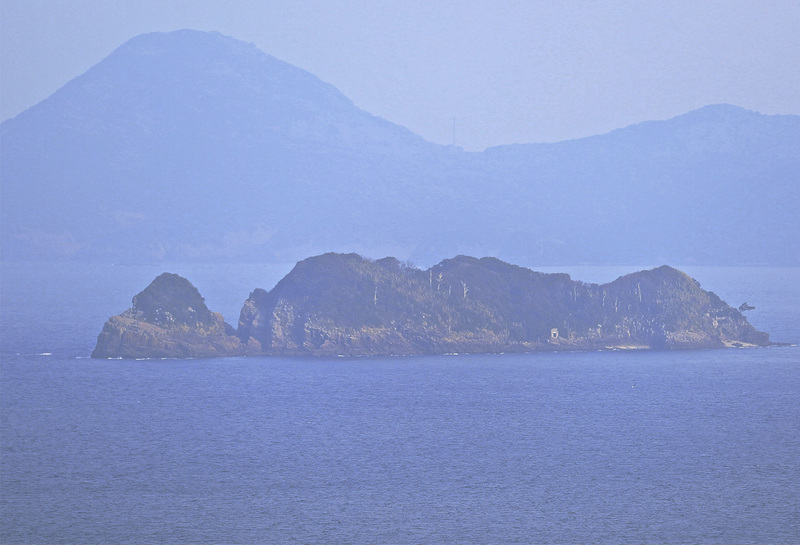 Today, Ikitsuki Island of Hirado and Neshiko Hama are considered the home of the underground Christians. After so many years of a changing faith and lapse of memory, as well as the lack of current successors to this faith, it is very possible that this history is close to being forgotten. The time remaining for people to be able to recall the events and put them in writing is quickly coming to an end.